September is going to be huge. There’s something for every type of traveller to enjoy at different parts of the world. From art exhibitions to beer festivals, you won’t want to sleep until September ends. So grab a pen and fill in your calendar. Will travel for quality tapas. For this: The 5th edition of Barcelona’s biggest “people’s food fest”, called Degusta. Put on your stretchy jeans ’cause you’re in for a treat… well, more than just a treat. Besides the food trucks and gourmet stations, guests can also take part in cooking shows by some of Spain’s top chefs. For the little chefs there’s a Degusta Kids area where children can learn and make their own gastronomic creations — and let’s be honest, it has “food fight” written all over it. From the country that gave the world Bruce Lee. For this: The Sundance Film Festival will be held in one of our favourite cities for the second time ever, so how could you miss out on the biggest indie flick events of all time? This year promises some headlining sure-hits like Crystal Moselle’s documentary “The Wolfpack,” which has already won the U.S documentary prize in Park City. 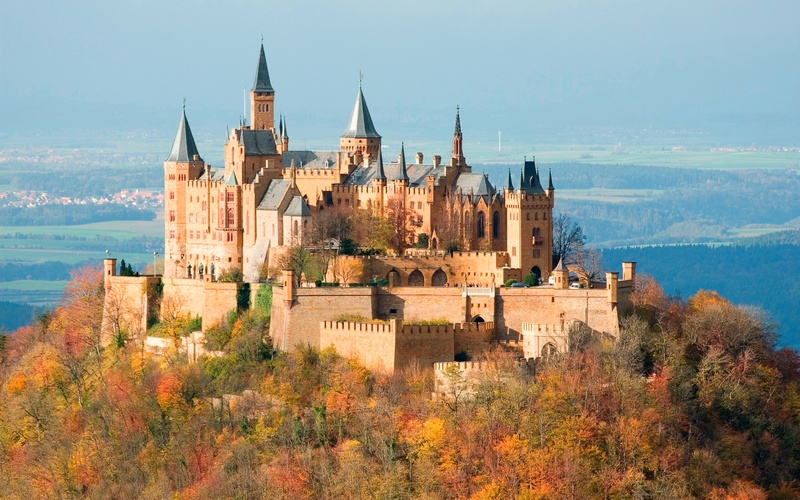 Don’t miss out on a quick visit to the beautiful Hohenzollern Castle! For this: Cannstatter Wasen, also known as the Stuttgart Beer Festival, or more commonly as the world’s second largest beer festival. So massive in fact, that the event goes on for two whole weeks. If you’re not much of a drinker but eager to take a trip to Germany, there are other attractions at the festival like a Ferris wheel, other carnival rides and live music. Do something cooler than just stand there. For this: Rain Room at the Yuz Museum, which is exactly what its name presumes; a room that rains. Er, why not just walk outside in the rain? Here’s why: rain falls everywhere in the room except the path visitors walk along (a bit like a car wash). The installation by the art collective Random International was first launched in 2012 in London, where 10 people were allowed in at a time and crowds waited as long as 12 hours to see it. If you miss this installation, you can catch the next one in Singapore, in 2017. Life’s a beach! 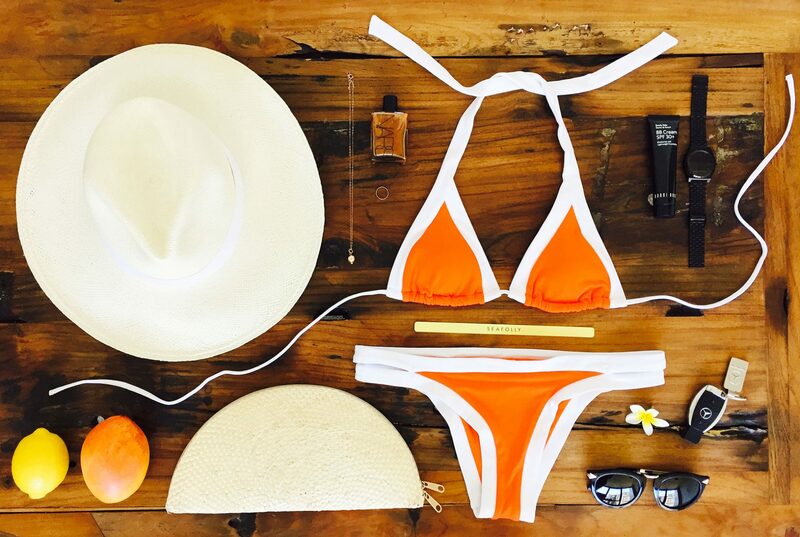 What’s a month gone by with no sunshine, sea and the sand? On these dates: Anytime in September when summer is coming to an end. For this: Some quality R&R by the beach. Which one? Take your pick. 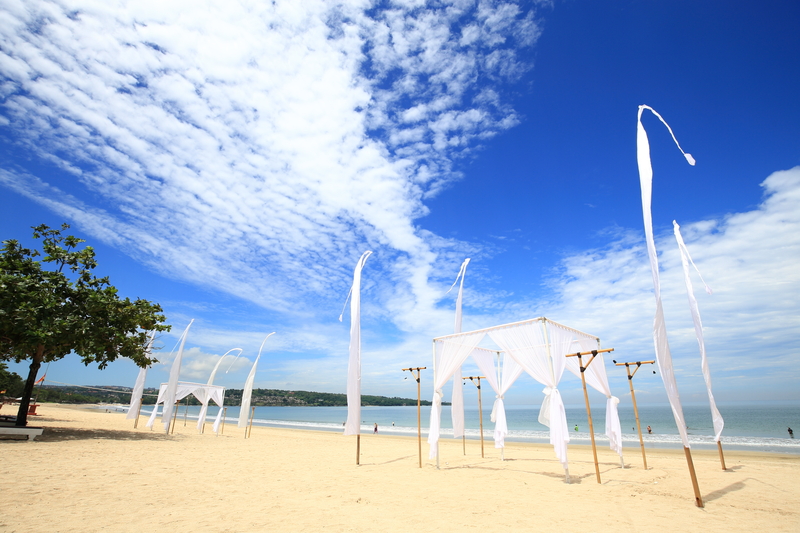 September is the final month in Bali’s dry season and although you can expect the occasional rain shower, they do pass quickly. It’s a lot more quiet during these months which means accommodation rates are at their most affordable. The moderately humid weather means it’s good to head outdoors and work up a sweat. Take up surfing in Canggu, where you’ll find the best waves in all of Bali. We know the perfect places to stay at too.